A new study finds that the only baleen whale living in the Arctic year-round has an unusually varied repertoire. WASHINGTON — Bowhead whales, the black filter-feeding giants of the Arctic that can live for 200 years devouring tons of tiny marine creatures, boast another remarkable quality. Their unique underwater songs make them wonderful “jazz” artists. 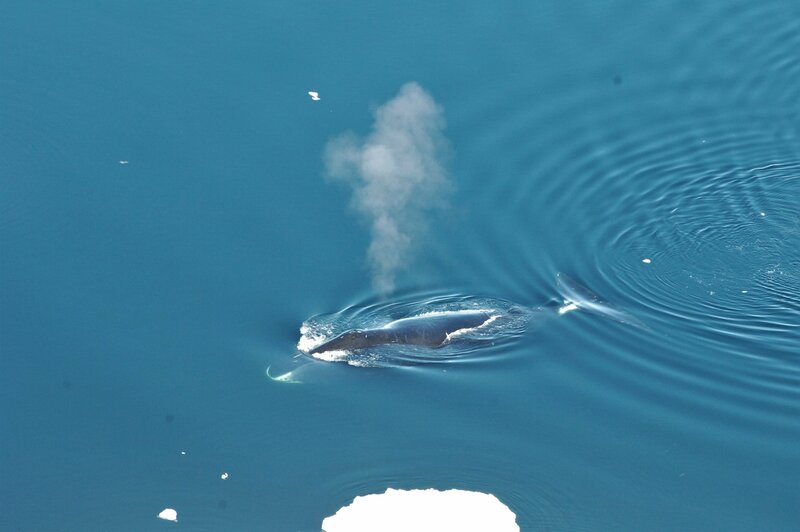 Researchers on Tuesday said they conducted an intensive study of the vocalizations — singing — of a population of roughly 300 bowhead whales in the sea east of Greenland from 2010 to 2014, using underwater microphones. Among the world’s whales, only bowheads and humpbacks produce really variable songs. Other filter-feeding baleen whales like blue, fin and minke whales produce much simpler songs that are more or less the same every year. Whales use sound it to navigate, communicate and find prey and mates. Sound travels efficiently underwater and much further than light, and odors also do not transmit very well underwater. “Whales sing to communicate ‘intention,’ in this case readiness to mate. The song is usually only performed by males to communicate both with other males — ‘I am bigger, stronger more motivated, et cetera’ — and to females — ‘I am big, strong and highly motivated,'” Kovacs added.